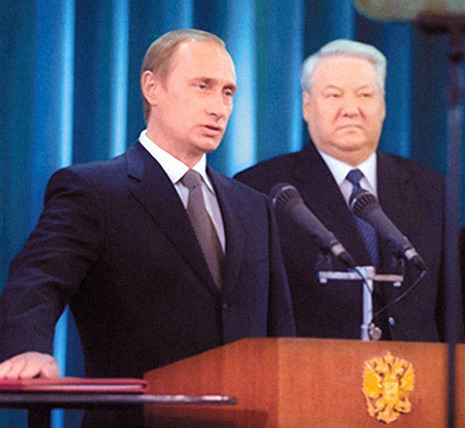 Vladimir Putin was inaugurated president on 7 May 2000. He appointed Minister of Finance Mikhail Kasyanov as his Prime minister. Having announced his intention to consolidate power in the country into a strict vertical, in May 2000 he issued a decree dividing 89 federal subjects of Russia between 7 federal districts overseen by representatives of his in order to facilitate federal administration. 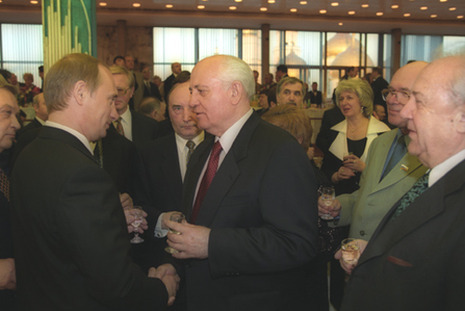 During his first term in office, he moved to curb the political ambitions of some of the Yeltsin-era oligarchs such as former Kremlin insider Boris Berezovsky, who had "helped Mr. Putin enter the family, and funded the party that formed Mr. Putin's parliamentary base", according to BBC profile. At the same time, according to Vladimir Solovyev, it was Alexey Kudrin who was instrumental in Putin's assignment to the Presidential Administration of Russia to work with Pavel Borodin, and according to Solovyev, Berezovsky was proposing Igor Ivanov rather than Putin as a new president. 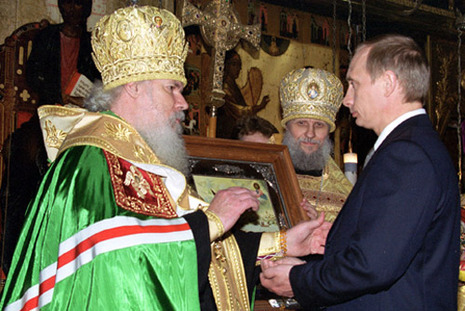 Between 2000 and 2004, and ending following the Yukos-affair, Putin apparently won a power-struggle with the oligarchs, reaching a 'grand-bargain' with them. This bargain allowed the oligarchs to maintain most of their powers, in exchange for their explicit support - and alignment with - his government. A new group of business magnates, such as Gennady Timchenko, Vladimir Yakunin, Yuriy Kovalchuk, Sergey Chemezov, with close personal ties to Putin, also emerged.